Symphonic Band is open to all students who have completed Concert Band at SMHS, and upperclassmen who have the consent of Mr Tribuzi. ALL INCOMING FRESHMAN who are interested in Symphonic Band MUST AUDITION for Mr. Tribuzi on Tuesday, August 13, 2019 in the SMHS Music Building. Students may schedule an audition before that date, but results can not be confirmed until the end of the day on August 15th Please email atribuzi@smuhsd.org to set a time. The audition will include ALL major scales (see "Scales" link…play the scales in a comfortable range in eighth notes to the ninth and back down), PLUS an etude/solo of your own choosing. Also, demonstrate keeping a beat in these styles: Jazz/Rock, Funk, Samba, Shuffle, Bossa Nova and fast Swing. Auditions will be scored using the attached rubric (see "Audition Rubric" link). 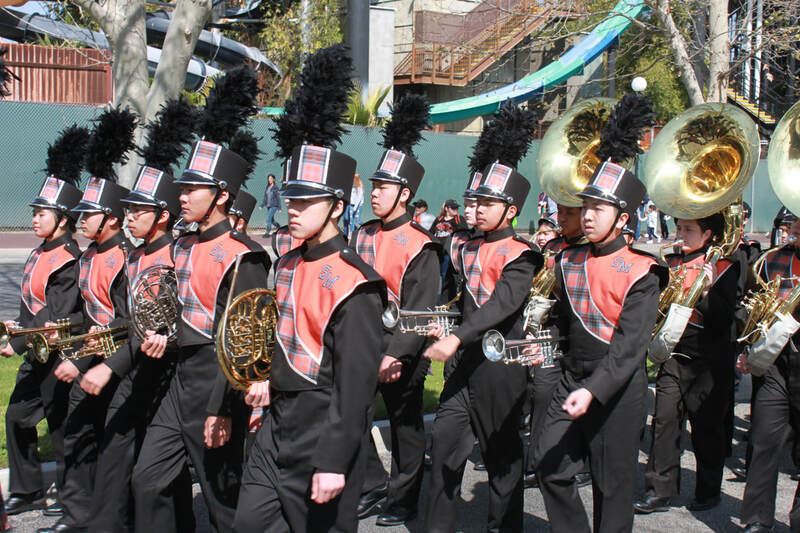 ​Prior to the audition, all incoming freshmen must be enrolled in Marching Band, Concert Band, or BOTH. Results will be emailed out in the evening after everyone has auditioned, and will be posted in the music building in the morning.